Electrical Continuing Education. We report your course FAST! 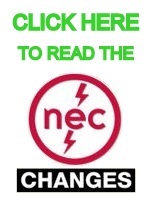 NEC references are provided - No Code Book Needed. NO EXTRA CHARGE to report to multiple states at the same time.